Borroughs has been in business for more than 70 years and has brought customer satisfaction across the Wasatch front. Borroughs has a grand variety of products to choose from when looking for shelving options. The range of their products starts with heavy duty industrial storage to museum grade cabinets. Borroughs offers a grand variety of products that ranges from automotive to library shelving. 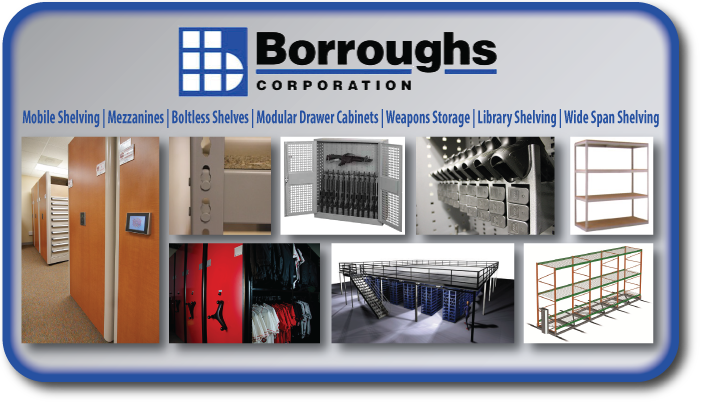 Borroughs Modular Drawer Cabinets are the new way of storing and save space in your workspace. The drawer cabinets are designed for a 12,500 lb. stacking capacity as well as being able to lift 7500 lbs. The removable lock cores allow for re-keying of cabinets without having to disassemble them if the keys ever get stolen and get lost. The cabinets are starting at 30” wide and start at 55”, 44”, and 33”. The other size available for wider drawers is 45” at start at 33”, 44” and 55”. Pre-Configured Modular Drawer Cabinets are a great way to store small to mid-size items. Modular Drawers can save up to 60% of storage footprint. 16 sections of shelving ( 36' w x 24' d x 84') can fit inside 6 modular drawer cabinets.